Achieving perfect skin is a long game, for sure. Most regimens take at least four to six weeks to produce any kind of visible result, and years of sunscreen diligence has a bigger preventative payoff than any after-the-fact fix can give you. But there are steps you can take to fast forward your results. Try these four shortcuts for a more beautiful complexion ASAP. Exfoliation is about the quickest fix you can give your skin. Removing the dead cells on the surface layer helps skin look instantly brighter and less dull, and lets your creams and lotions penetrate better. 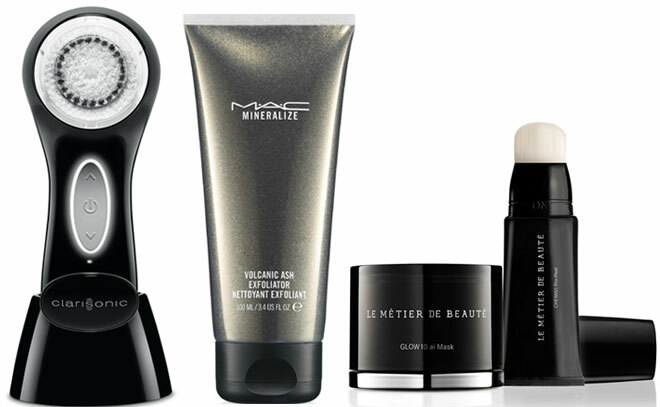 In the grainy physical scrub category, we love MAC Mineralize Volcanic Ash Exfoliator ($28, maccosmetics.com), which combines volcanic ash with sugar crystals and features ultra-fine particles to deep clean pores. The chemical exfoliant in Le Métier de Beauté CHEM60 Pro-Peel & GLOW10ai Mask Set ($265, neimanmarcus.com) uses a blend of salicylic and glycolic acids to slough away dead skin cells in as little as 60 seconds. If dirt, oil and makeup buildup are your concerns, the Clarisonic Aria Sonic Skin Cleansing Brush ($199, clarisonic.com) oscillates at over 300 movements per second to cleanse skin six times better than manual cleansing. The best skincare ingredients not only offer results over time, but can make a difference almost instantly, too. “Retinols, peptides and vitamins are available in easy to use serums, creams and lotions and will give a short-term as well as a long-term glow,” says Dr. Fusco. Choose supercharged products to boost the benefits: New SK-II LXP Ultimate Revival Essence ($250, saksfifthavenue.com) packs 8x the concentrated ingredient, Pitera, to deliver a dose of vitamins, amino acids and proteins. Neutrogena Rapid Wrinkle Repair Serum ($20.99, neutrogena.com) delivers results as quickly as one week, thanks to an accelerated form of Retinol SA. And for softer, more supple skin in one night, Clinique Moisture Surge Overnight Mask ($32, clinique.com) hydrates skin with plumping hyaluronic acid. 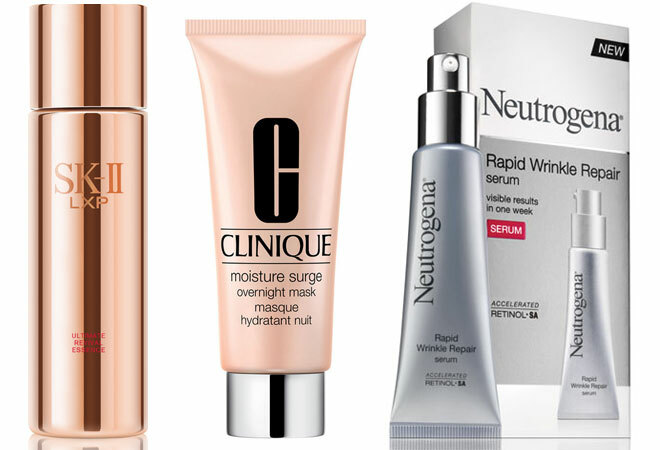 When it comes to near-instant gratification, your dermatologist can call in the big guns. “For some women this might be a ‘liquid facelift’ consisting of injectables like Dysport to smoothe or Restylane to lift,” says Dr. Fusco. Scared of needles? Try Ultherapy, a noninvasive ultrasound treatment that stimulates the skin’s deep structural support layers to tone and tighten the areas around the brow, neck and under the chin. Laser resurfacing to improve fine lines, scars and pigmentation can also give real results in as little as one treatment.